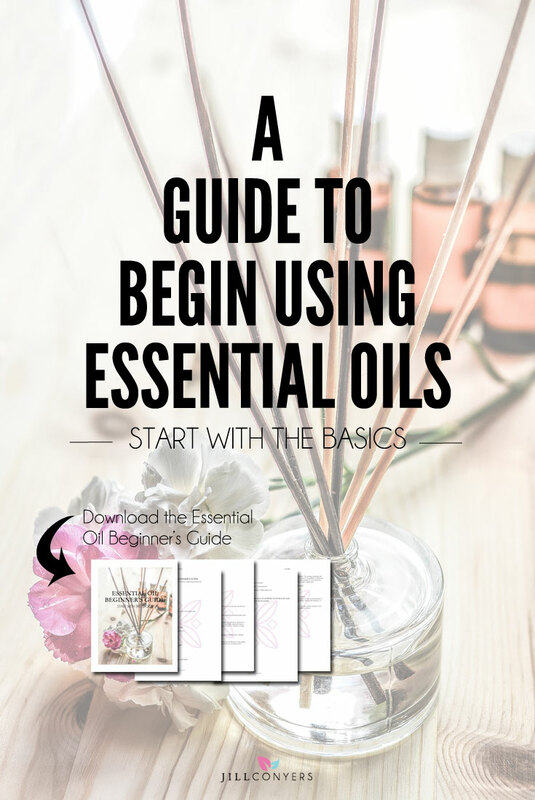 A simple guide with everything you need to know to begin using essential oils in your home. Essential oils have been used throughout the world for centuries and are one of nature’s most powerful tools to support health and well-being. Your health and wellness rests in your hands with the choices you make everyday. Diffuse for the purifying and uplifting properties. Diffuse to help increase mental clarity and to energize and uplift. Blends well with Myrrh, Sandalwood and Lavender. Blend to make a DIY yoga mat cleaner. Dilute and gently massage sore or tight muscles. Diffuse to uplift mood and energy levels. Blends well with Cinnamon, Lavender, Peppermint and other citrus oils. For a soothing, sensual, cleansing treatment for body, mind and spirit. Mix 5-8 drops of your favorite essential oil or blend in the bath water. Diffusion is the easiest way to benefit from aromatherapy. Select a fresh essential oil or blend depending on your needs. Diffuse 15-20 minutes at a time throughout the day. Essential oils enhance the holistic treatment of massage therapy and they’re easily combined to benefit specific needs. Fill a glass or stainless steel pot with 2-3 quarts of hot water. Add 2-5 drops of single essential oils or a blend. Position your face, eyes closed, about 10 inches above the hot water, or as close as is comfortable. Optionally, drape a towel over our head and around the sides of the pot. Relax, breathing in the steam for about 5-7 minutes. An additional 1-2 drops can be added as needed. Combined with a base oil to make rollerball applications, apply to pulse points and, as mentioned above, massage therapy. Blend individual oils to combine the properties for a harmonious effect. Start with two oils. Blend the 2 oils together in a 50/50 mix. Drop by drop add more of the weaker oil to the mix until the blend forms a beneficial whole. When used safely essential oils are wonderful for health and well-being. There are precaution to be aware depending on the oil you’re using- using undiluted oil on the skin, photosensitivity of some oils, internal use of oils, etc. With a little research and knowledge I use essential oils daily and have not experienced any problems. The information in this post is based on my personal experience and research and is not intended to diagnose, treat, cure, prevent or otherwise reduce the effects of any illness or disease. This information is intended for informational purposes only and is not meant to substitute for seeking medical advice from a licensed medical doctor. Consult a licensed and qualified heath care provider for diagnosis, medical care and treatment. What are your favorite essential oils? Do you have a favorite blend? I’m just starting to get into essential oils. My mom bought me a diffuser and I love it! So far I have diffused lavender, clary sage & eucalyptus oils. I’m so excited to start a collection. Thank you for all this useful information. I’m not that much into essential oils, but when I used them I prefer orange scent. Thanks for putting this guide together! I hear so much about essential oils but don’t know where to start. I use a difuser and started with a kit that came with it. I now have two other diffuser – just got a bamboo one that really blends in with the decor better than whit plastic. I made a few blends – one for my purse and one for my sons backpack. I have a few sprays for bathroom and kitchen. Due to my eczema and asthma I am not using topically. My favs are lemon, wild orange, melaleuca, purify, peace, grapefruit, and cheer blend. I feel a bit overwhelmed by all there is to learn about using essential oils. I know just the bare minimum but would love to learn more. I love using lavender EO for sleep with my littles, it has especially been a saving grace with my daughter who is not a great sleeper. Thanks for sharing, Jill! I will be sure to pass along to my gf as she has been using these lately! I’m very new to essential oils so this was definitely helpful. Some tips I can start using right away. Thanks for sharing! Thank you for the beginner’s tips. I have some oils that I got from a friend but I forgot about them. I need some energizing right now so I am going to go pull them out of hiding. This is actually perfect! I just bought my first diffuser and set of essential oils, but wasn’t sure what some of them were good for. Thanks so much for sharing! Hi Emily, a diffuser is how I started and now I use it daily in my office and in my yoga room. Let me know if you have any questions. Happy to chat anytime! I’m just getting into Essential Oils. Right now I’m loving the citrus ones to improve my mood! Hi Julie, I have a rollerball blend with a citrus oil blend that stays in my purse. I love it! What an awesome guide. I have slowly started using essential oils more and more!! They are pretty darn amazing! Mikki, EOs are amazing! I can’t believe there was a time when I was a skeptic. Stress Away from Young Living is EVERYTHING. I wear it like perfume. Hi Tara. I’ve read great things about Young Living. I need to check out their oils. PS. I can’t wait for Blogfest! I want to try Frankincense! Hi Carmy. Frankincense is an oil I use most often for meditation. Love it! im just getting started on essential oils so this was certainly very helpful. Thank you Dixya. Let me know if you have any questions. Happy to chat anytime! First off, your guide is beautiful and super resourceful! I love to spray lavender on my pillowcases before I go to bed. Thank you Dana. Lavender is the gateway essential oil. It almost always leads to using other oils. This is so helpful! I’ve been wanting to start experimenting with using essential oils. The other day in my yoga class the instructor did mini adjustments and had a lavender essential oil mixture on her hands and it smelled so good and relaxing. Hi Chrissy. My yoga classes are known for including essential oils. I use them for a neck and shoulder massage before savasana or on a chilled washcloth with EO that I place on your forehead at the beginning savasana. Happy to help Kathiey. Great idea for a blog post. I have both tea tree and wild orange oils, which I bought for homemade cleaning products (yoga mat spray and kitchen cleaner, respectively). I’m curious about using tea tree for my cuticles – does that need to be diluted, or can it go straight on my skin & nails? Hi Christina, I use directly on my skin, but this is one oil that I’ve read you may need to take precautions by diluting with a carrier oil to reduce sensitivity to skin “when necessary.” Hope that helps. Happy to share Deborah. Thanks! I’ve just started using oils so this is really helpful. I definitely need to start using tea tree oil on my sweaty yoga mat! Tea Tree is great for yoga mats. Be careful, although I haven’t experienced a problem, I read that EOs shouldn’t be used on some yoga mat brands. Let me know if you have any questions. I’m happy to help. I would just like to add a practical point, to help others avoid a huge mistake I made. Before adding essential oils into your bath, please dilute them in an oil, or a scent-free bath soap, as they will not mix with water. I managed to burn my inner thighs with peppermint oil because. I’m sorry that happened. EO can be safely used with precautions. There are some that should not be used directly on the skin without being diluted. Lavender (especially French lavender) is one of my top scents of all time. I woudl put pepermint and wild orange as close seconds! Lavender is the gateway oil to all things EO. I love wild orange. Thanks Susie. Have a beautiful day! I LOVE my essential oils!! I am still fairly new to them, so this helped a lot! I diffuse them often, but want to try them in a bath next. How relaxing! Carly, an EO bath is fabulous! You’re going to love it. Yes! I need this post. I have been interested in using oils for awhile now and have been lost on where to start. I would love to use them with my epsom salts in the bath. Stephanie essential oil baths are wonderful. Let me know if you have any getting started questions. I’m happy to help. Thanks for this, Jill! I haven’t used the oils but have begun getting intrigued lately!